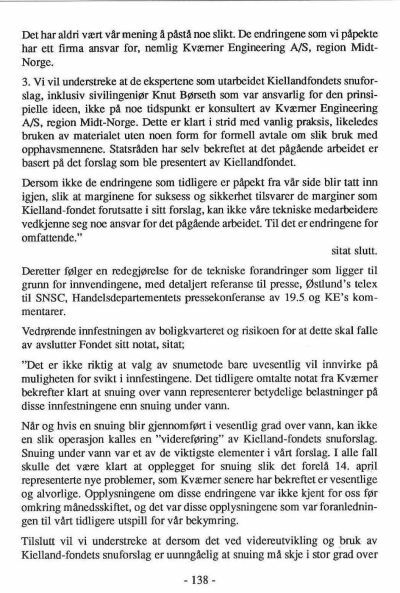 the 2nd attempt was designed to fail. 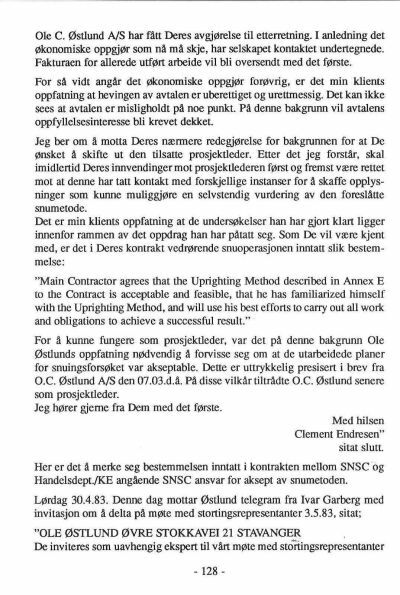 - and the uprighting failed. 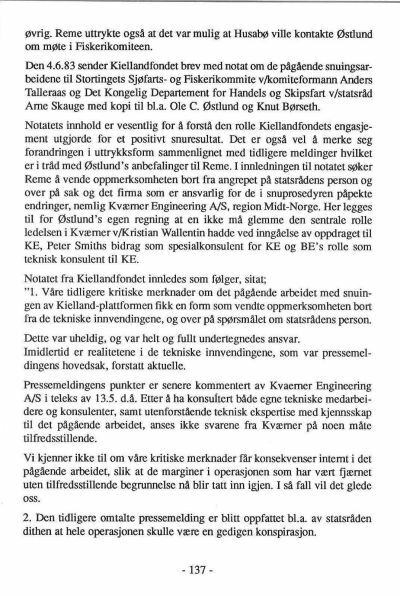 - they had to fire him. 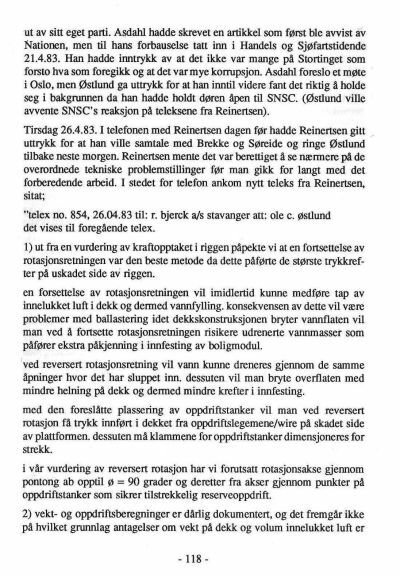 which had to be corrected were at hand. 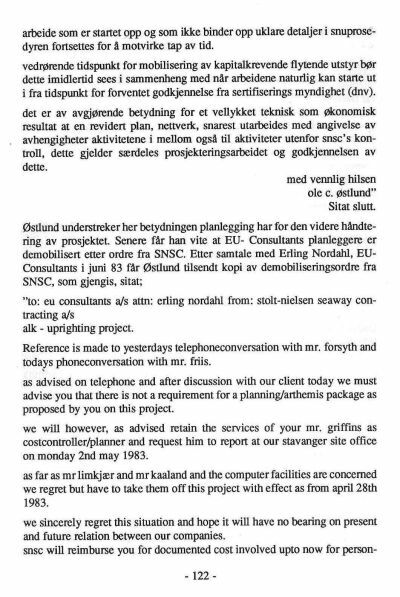 -those working for covering up the sabotage felt threatened. 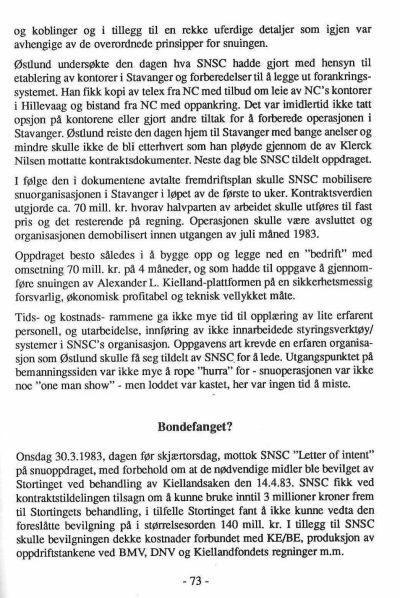 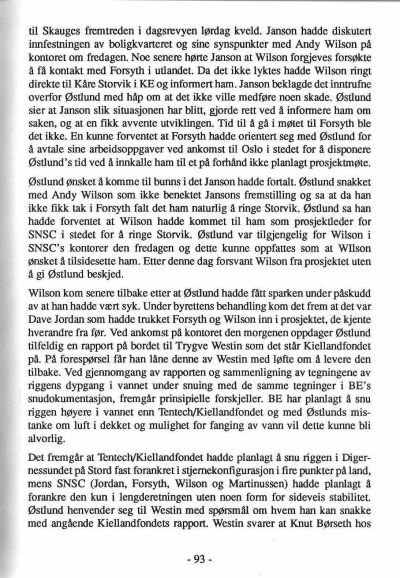 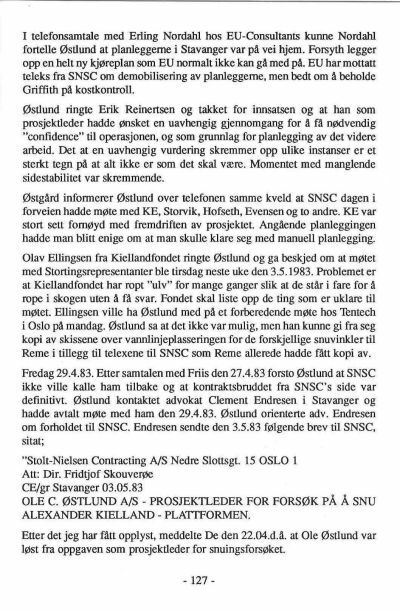 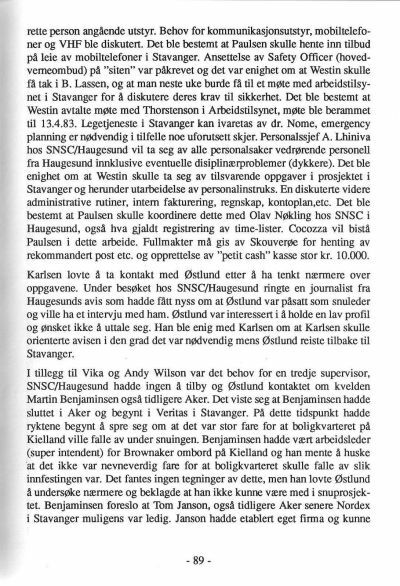 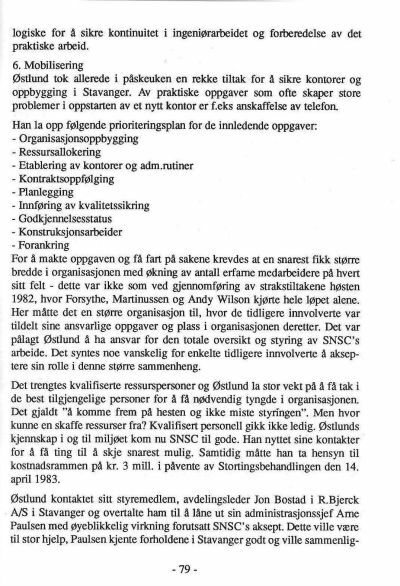 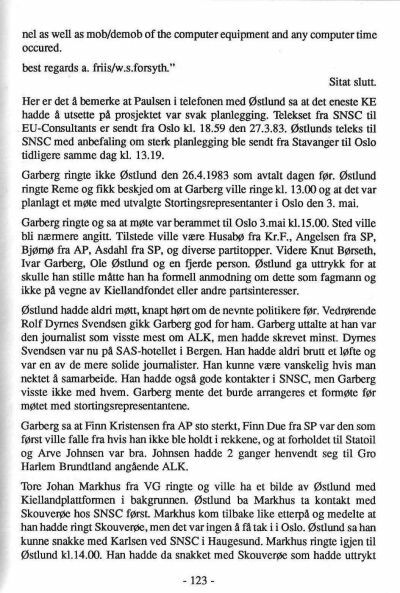 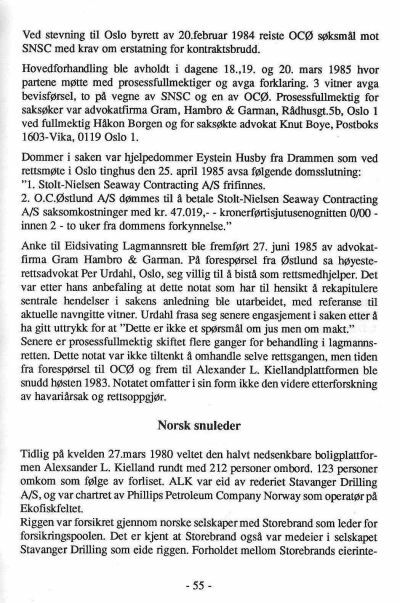 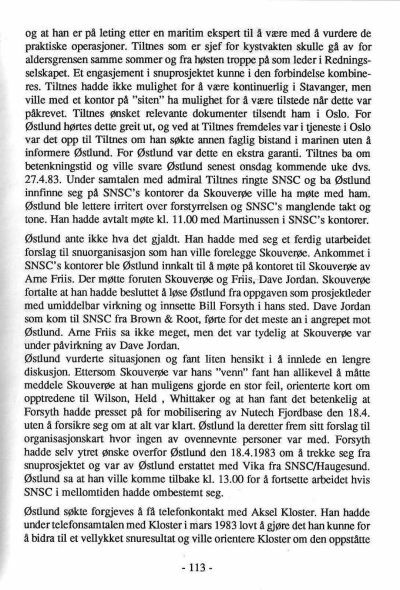 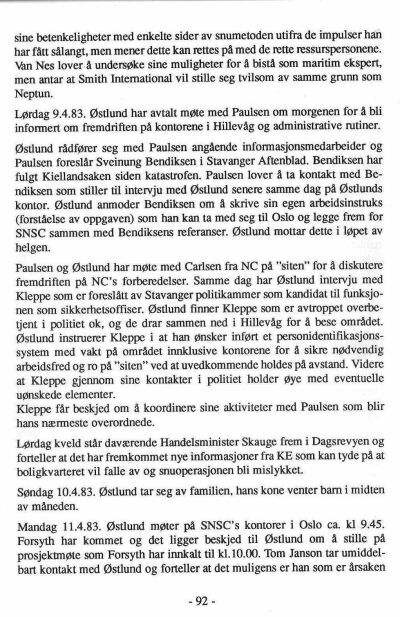 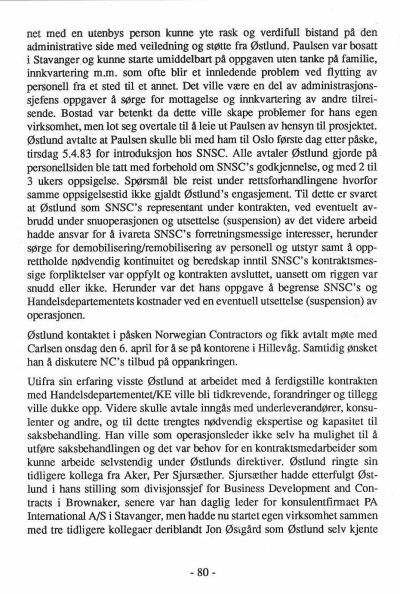 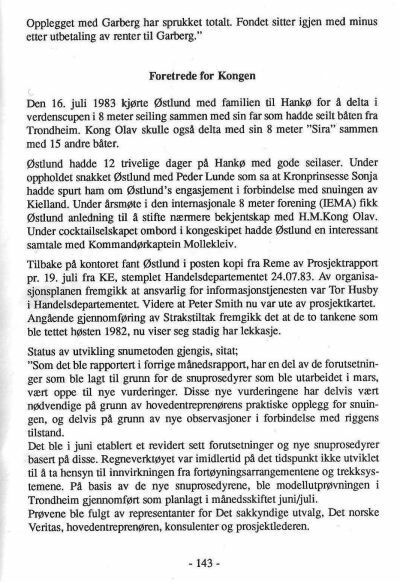 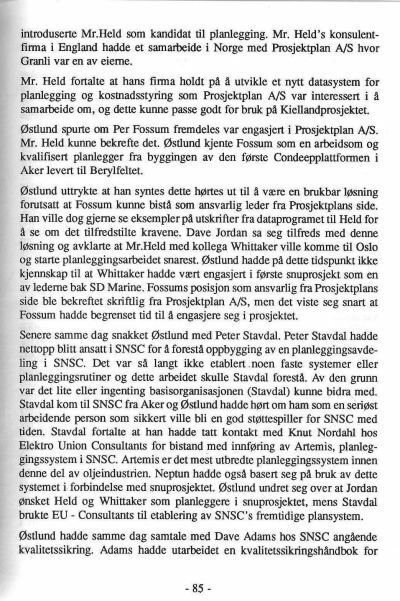 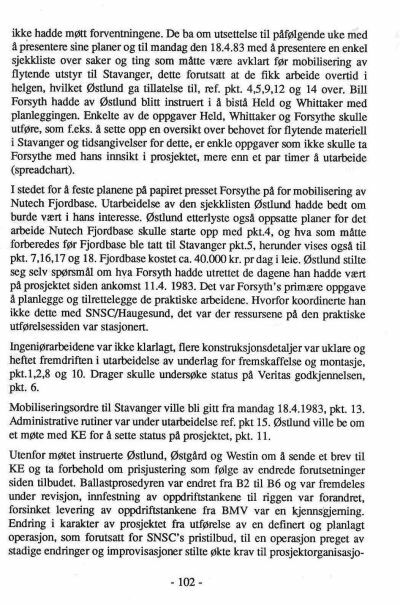 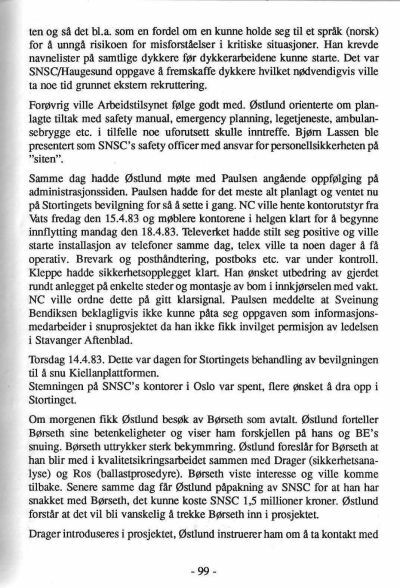 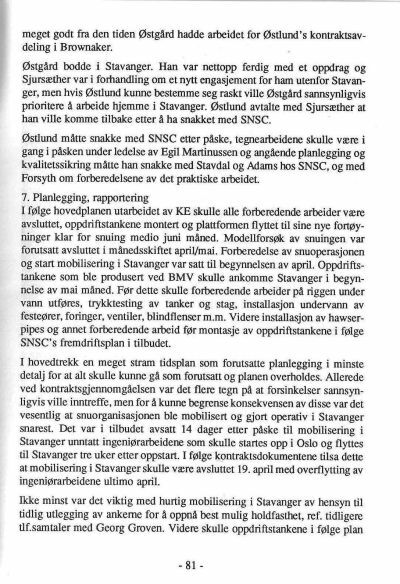 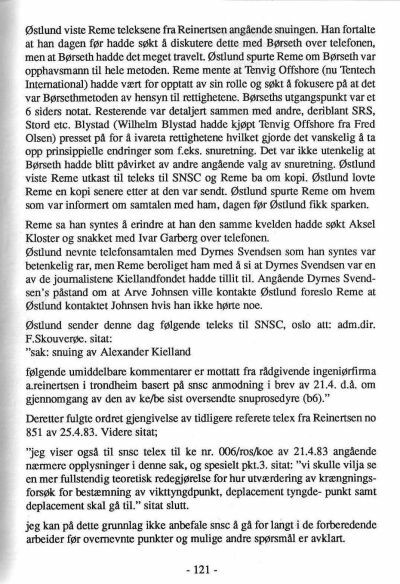 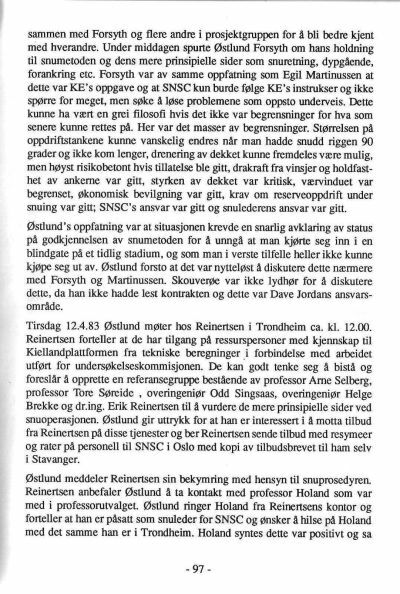 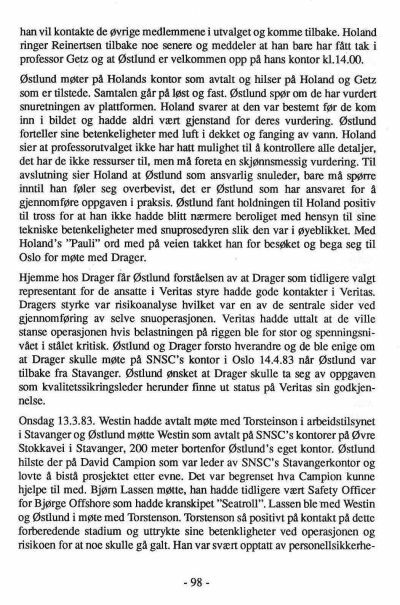 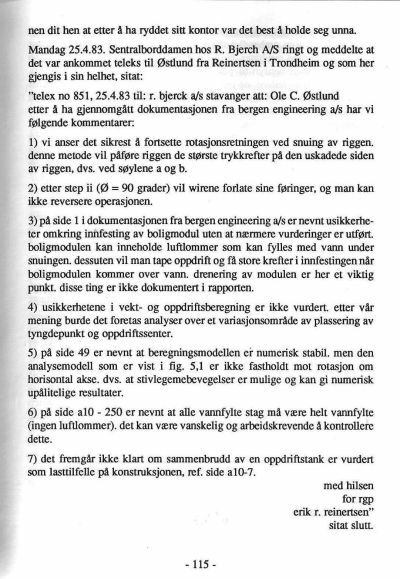 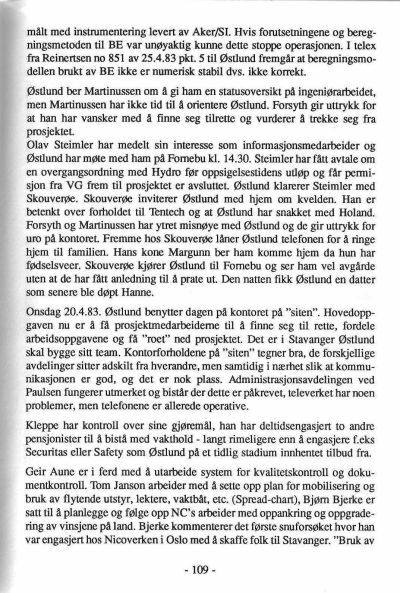 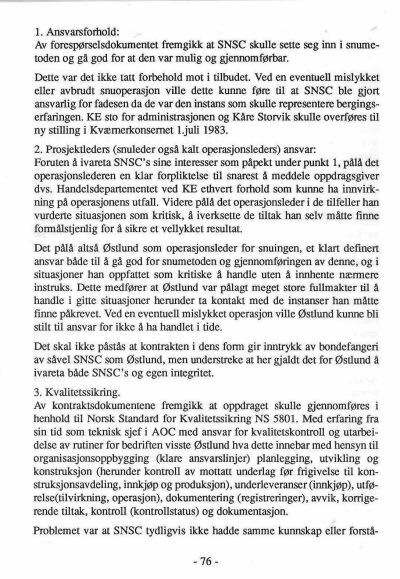 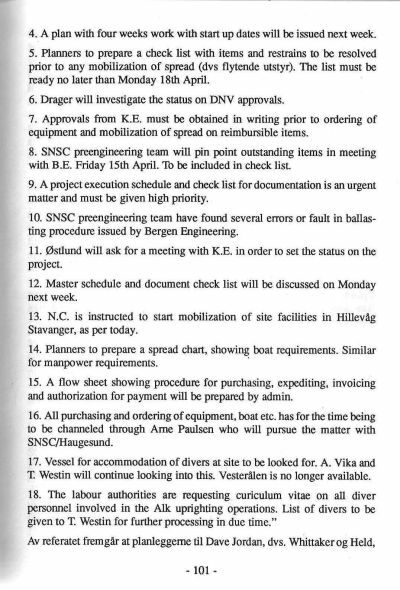 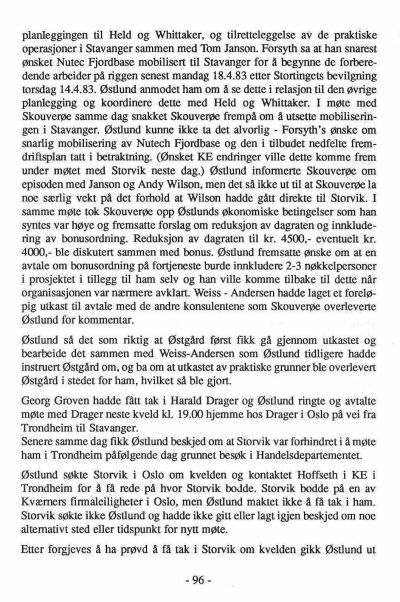 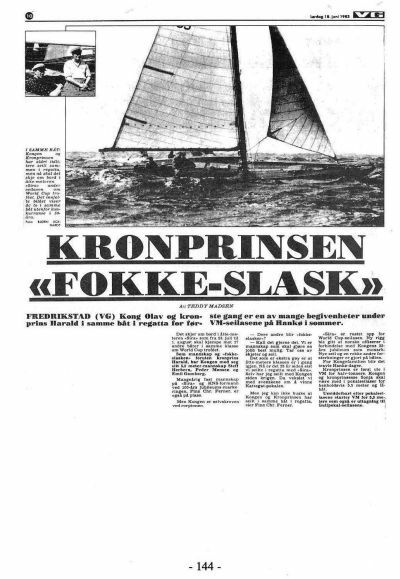 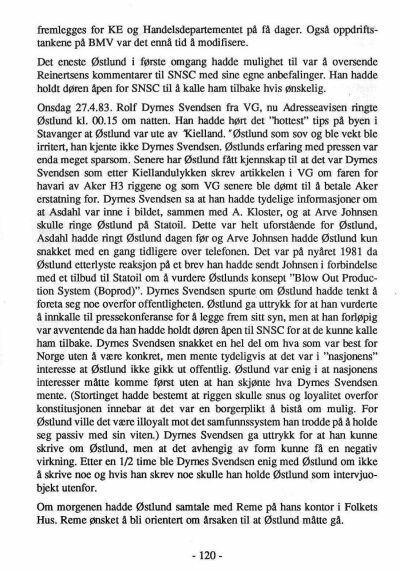 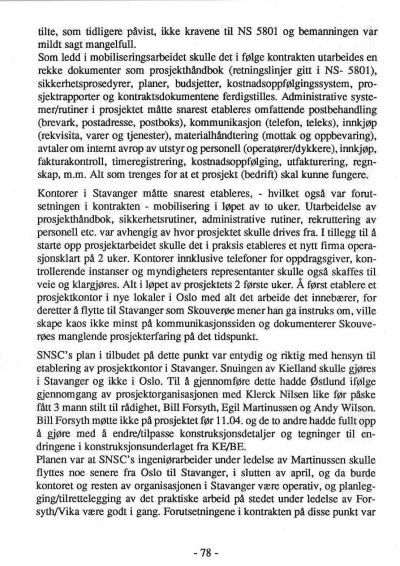 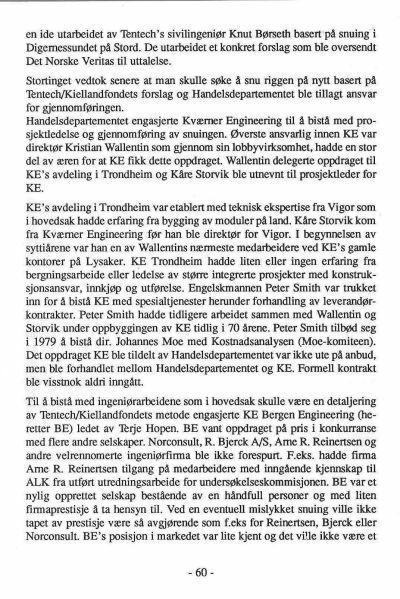 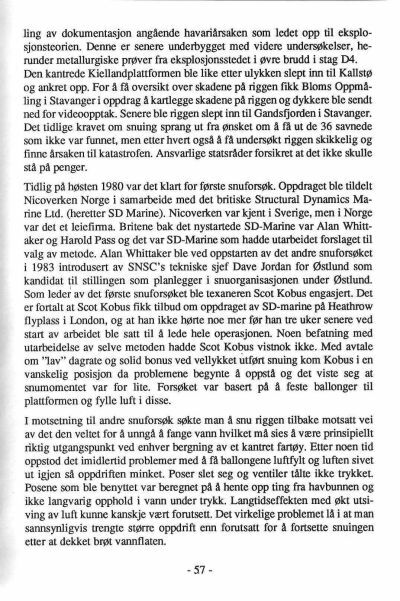 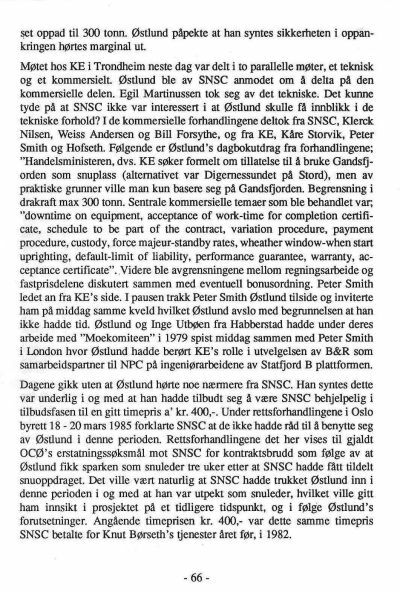 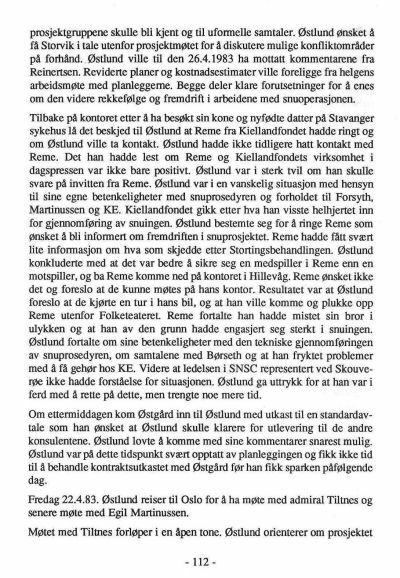 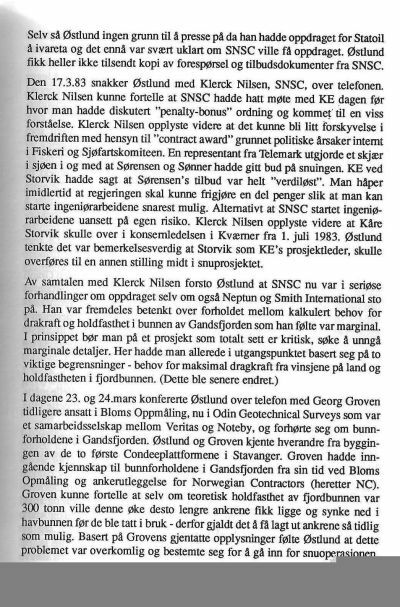 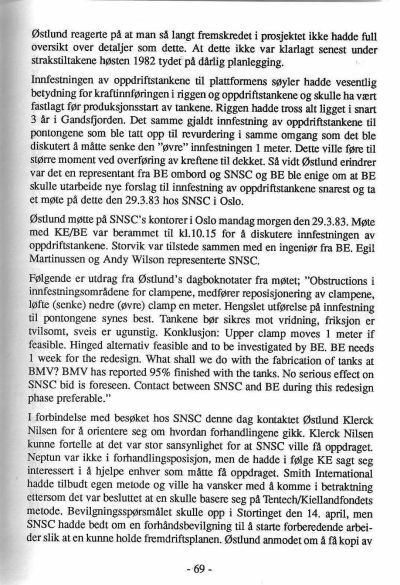 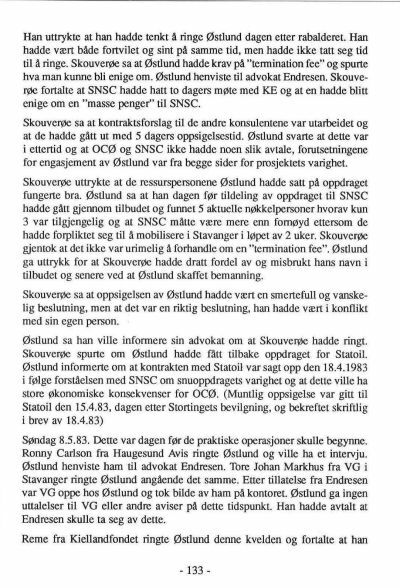 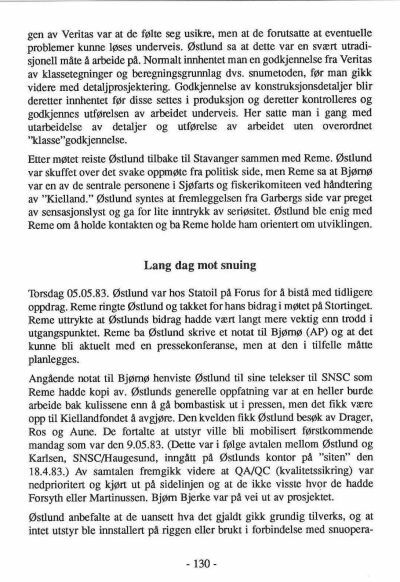 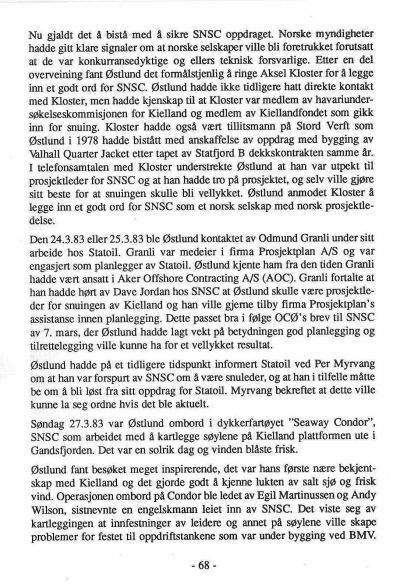 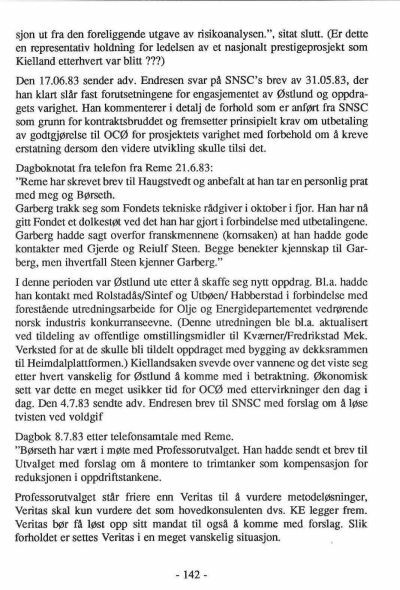 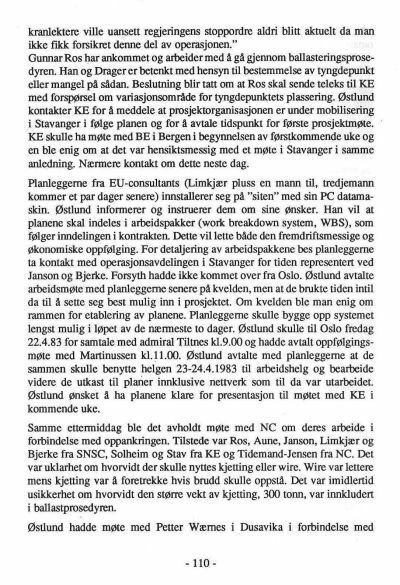 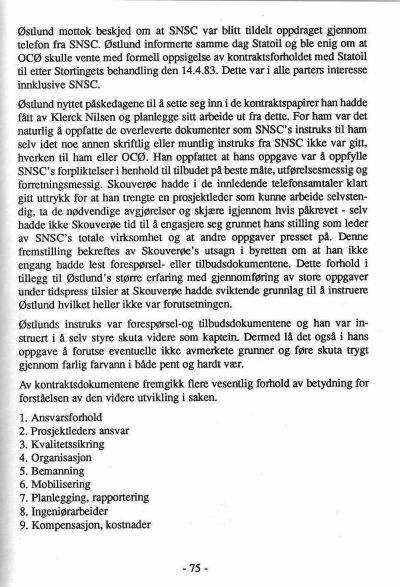 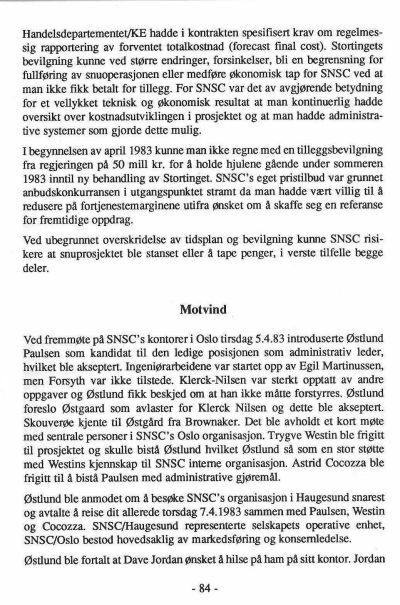 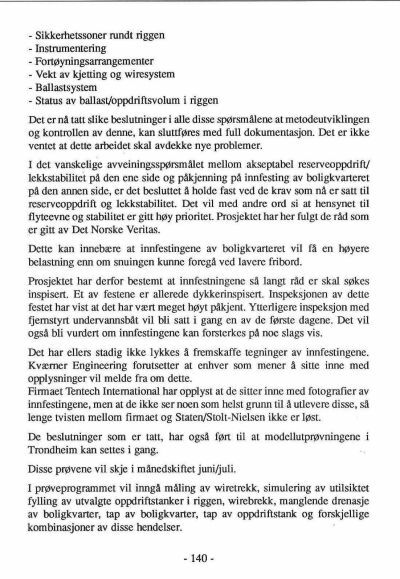 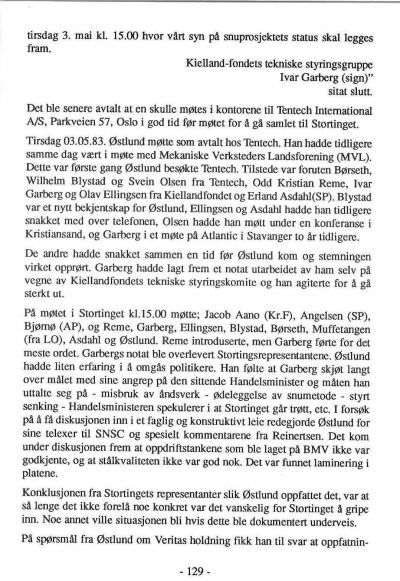 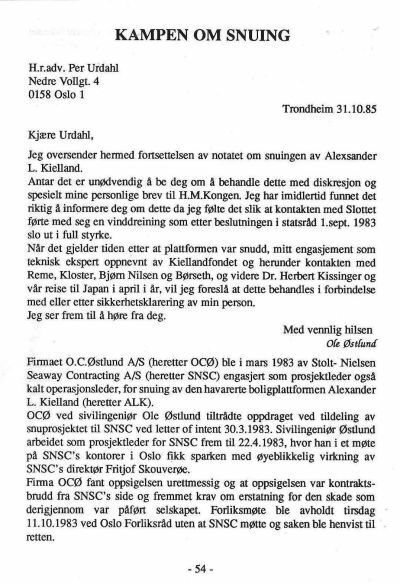 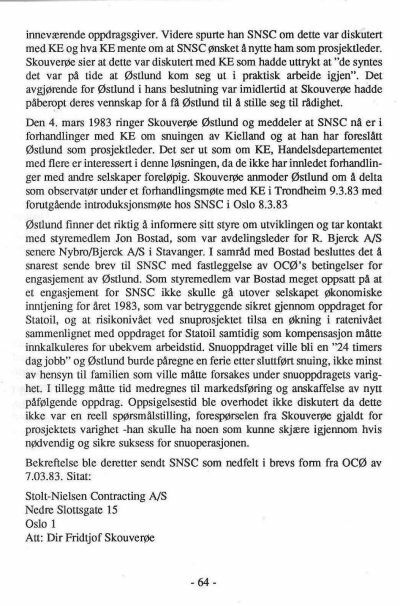 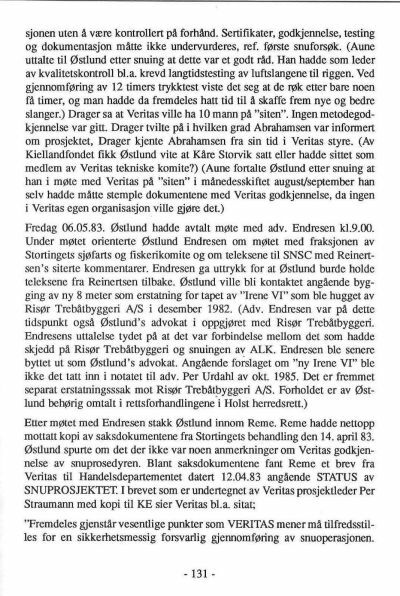 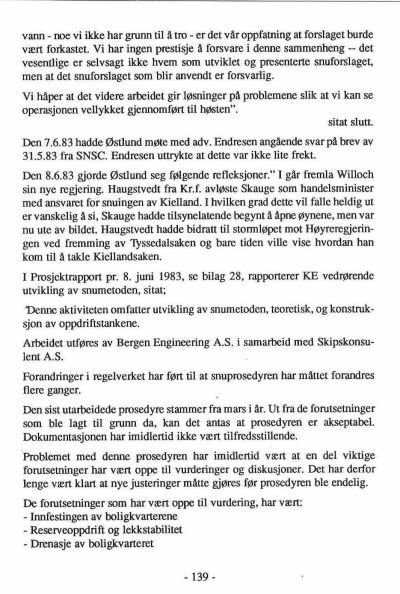 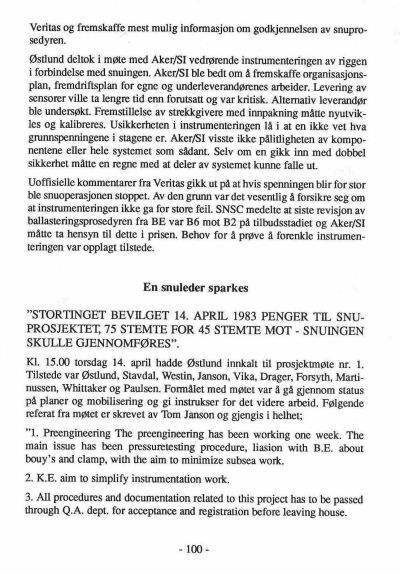 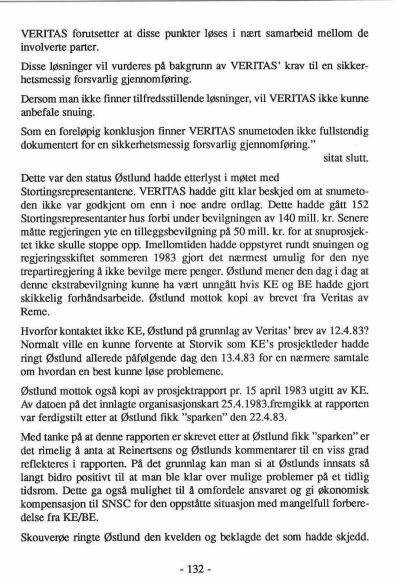 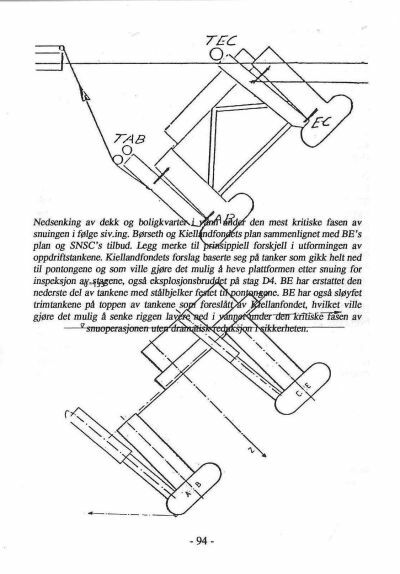 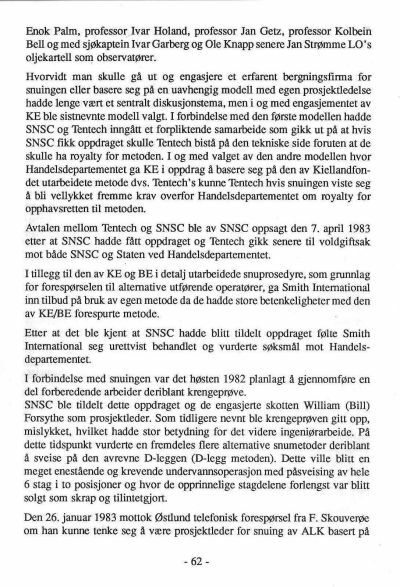 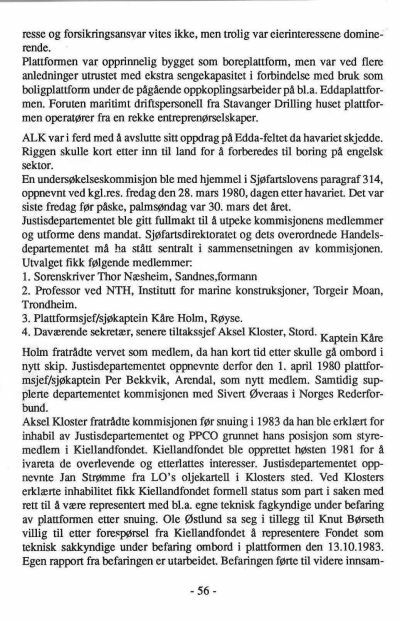 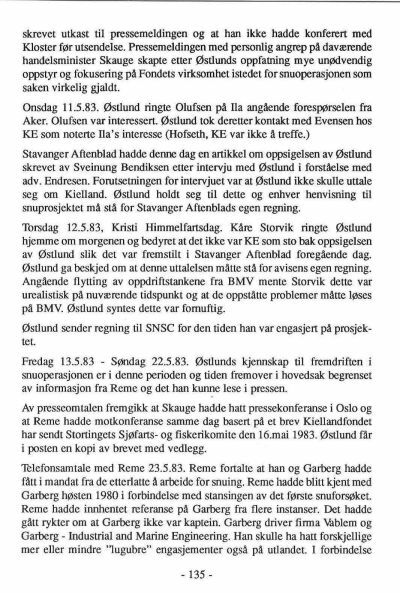 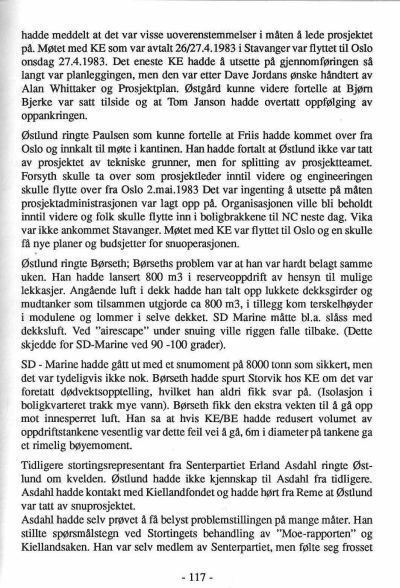 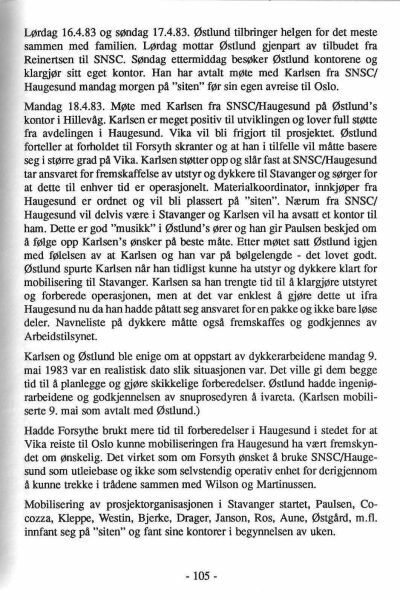 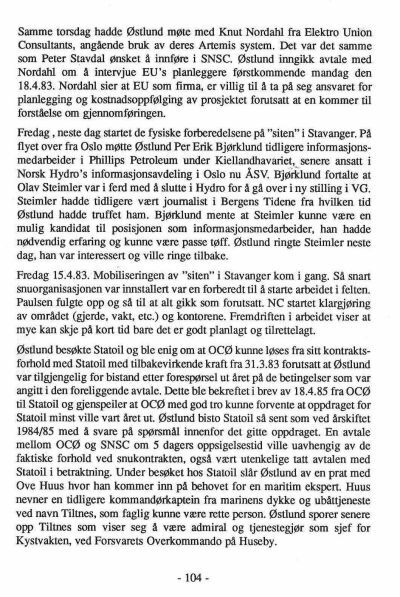 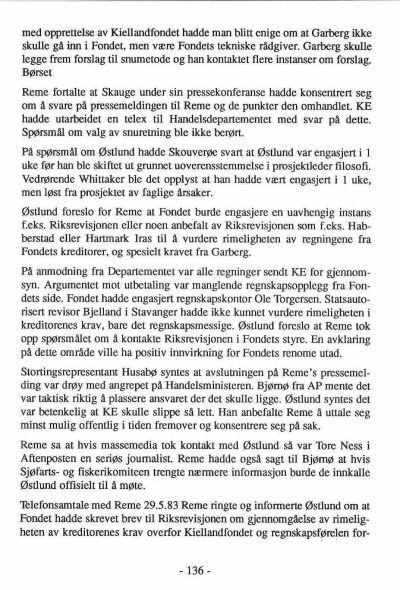 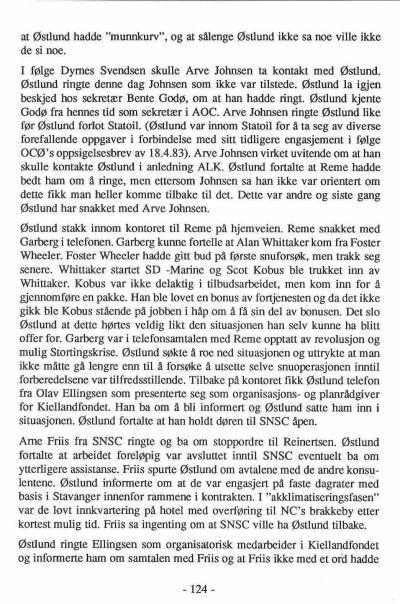 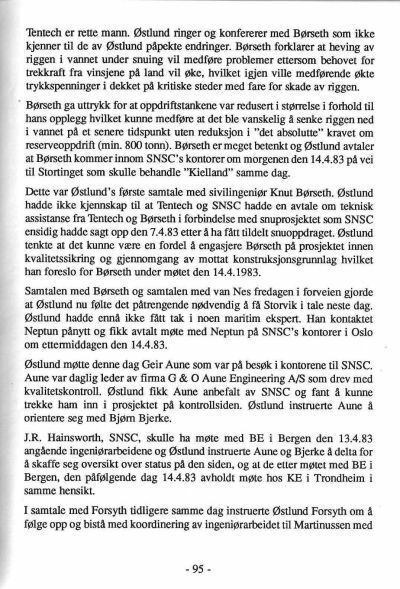 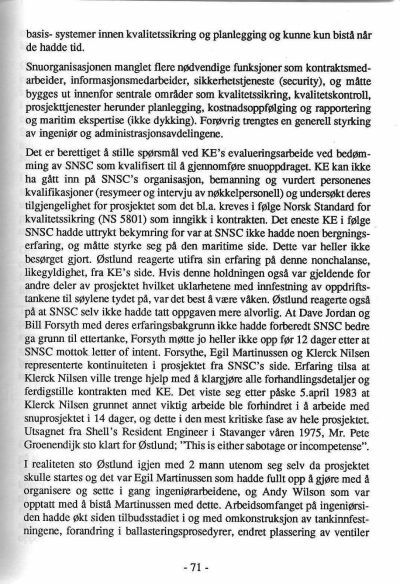 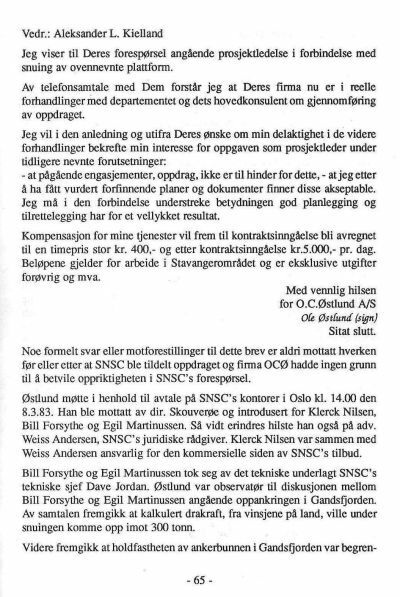 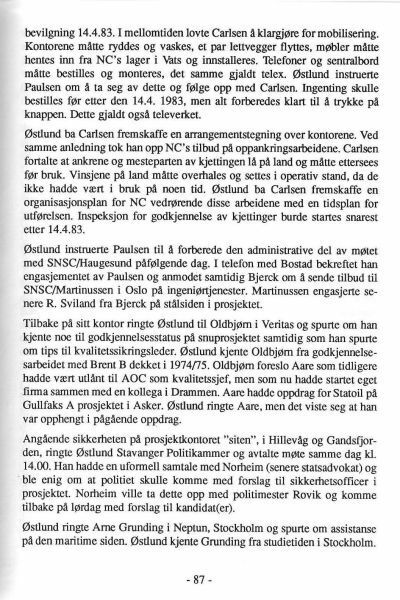 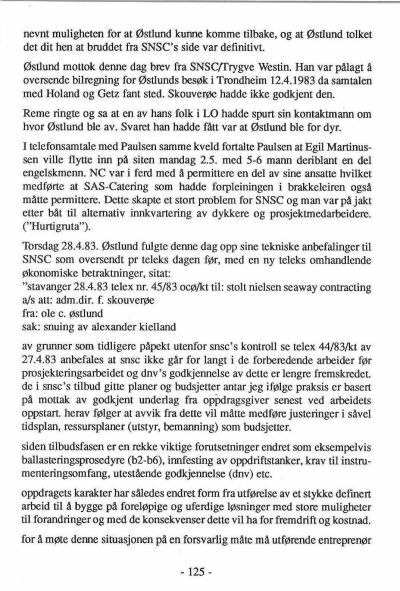 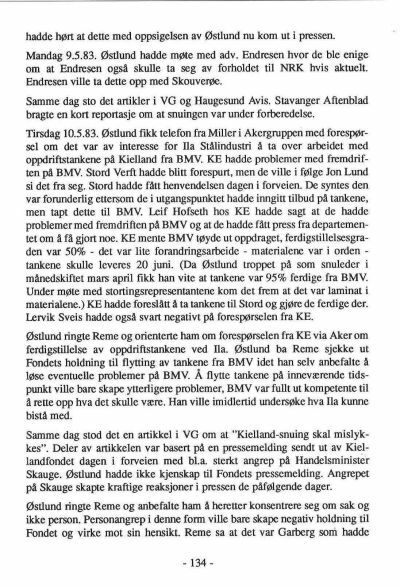 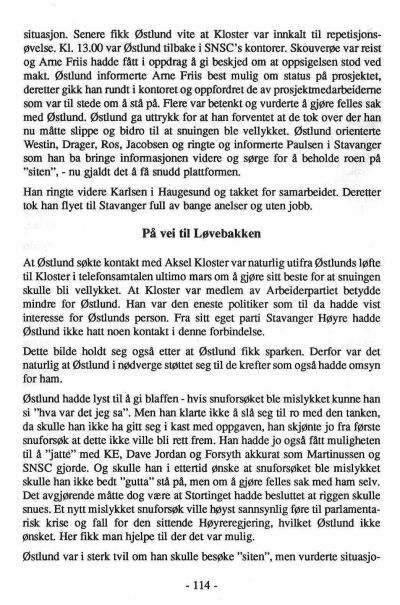 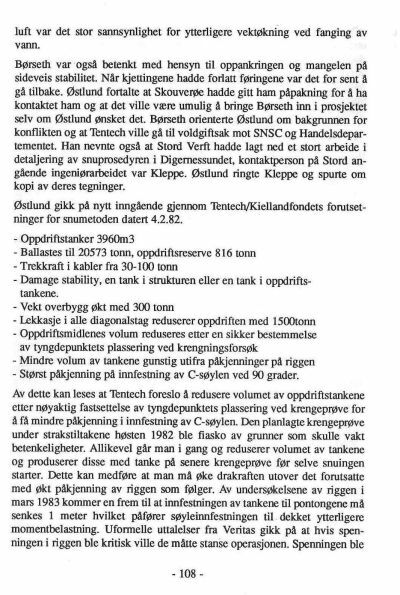 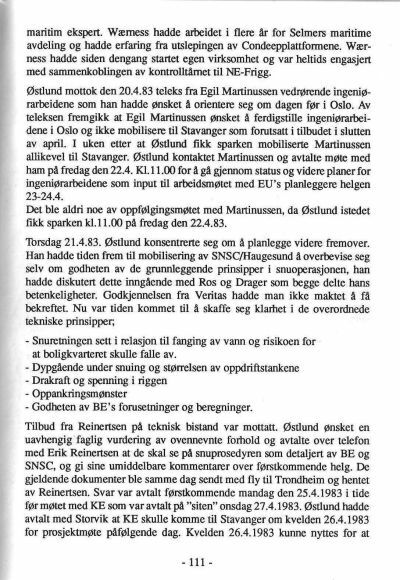 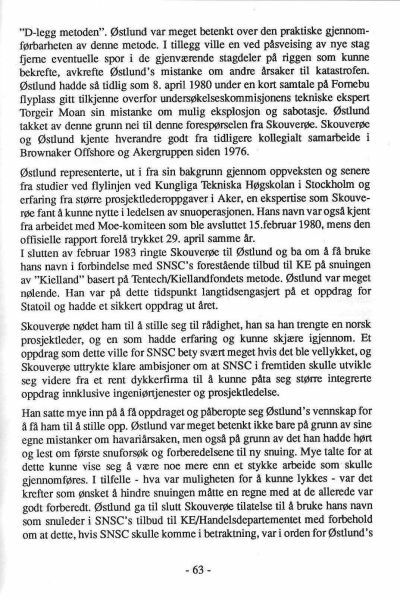 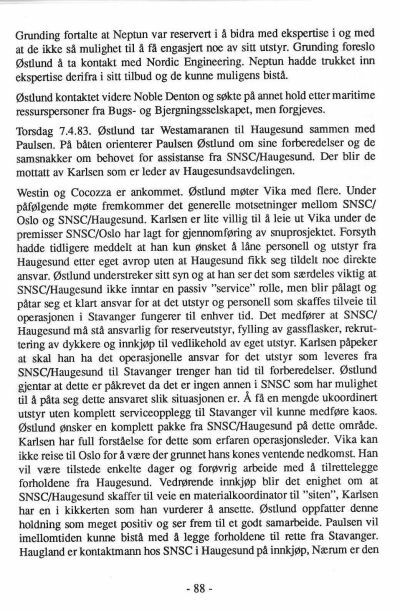 Through my company O.C.Östlund A/S I took Stolt Nielsen Seaway to court for breach of contract . 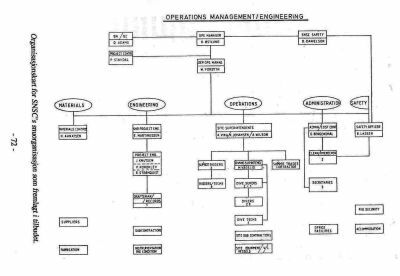 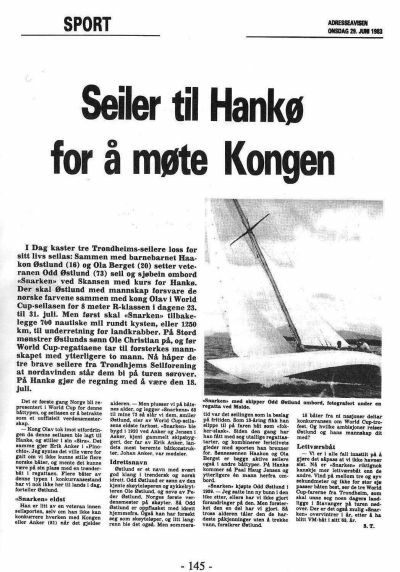 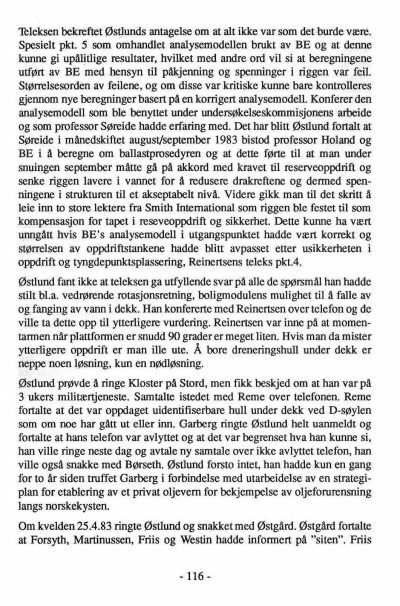 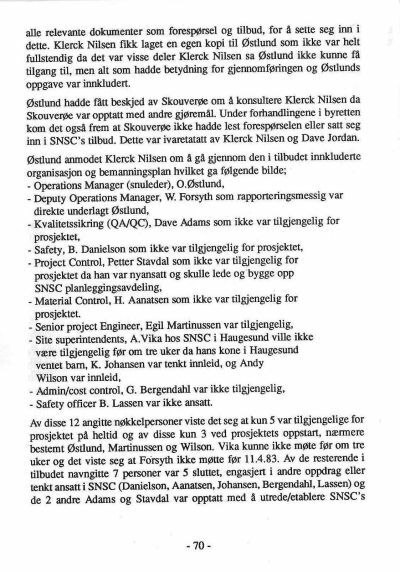 "Fired because he tried to save the Government 1 mill Nok/day"
I was told to keep the results of the Technical Quality Review in the drawer. 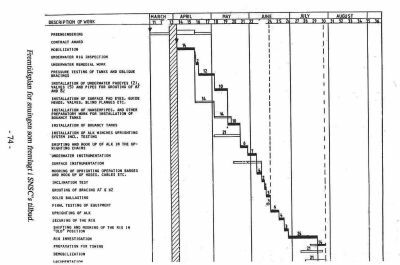 Court procedings took place in spring 1985.
technology to companies in Japan. 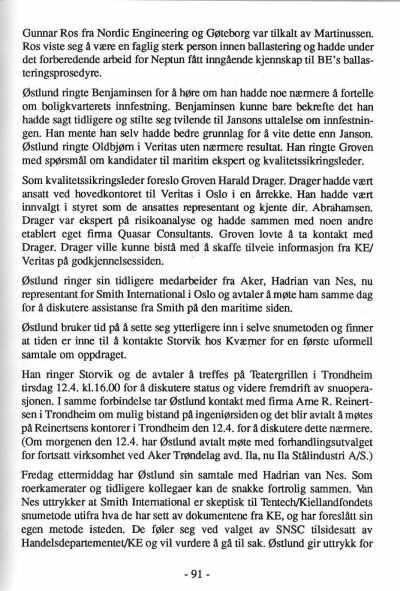 Court Decission was made in my disfavour. 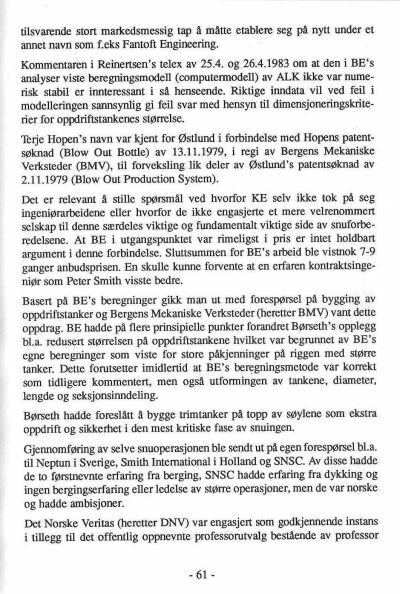 work with Brown & Root. 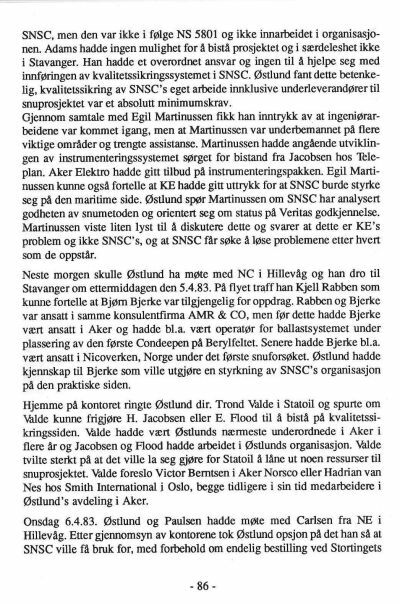 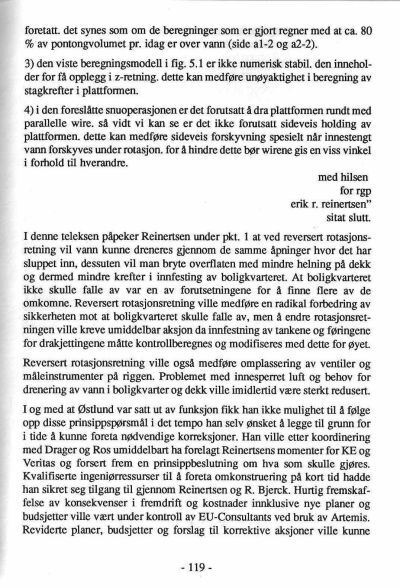 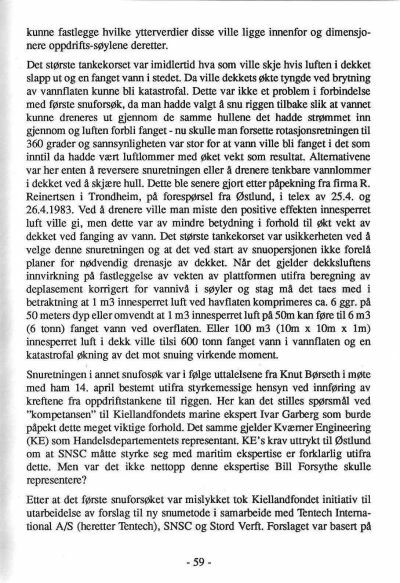 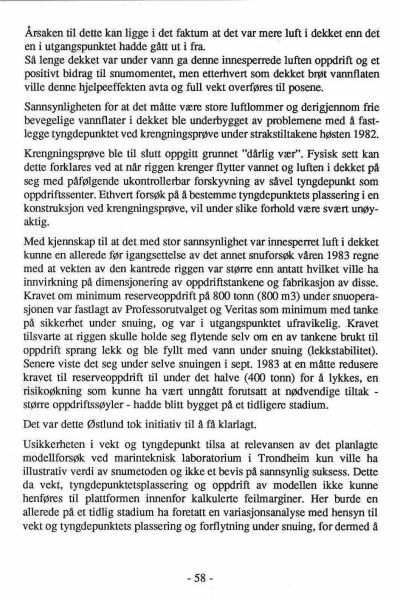 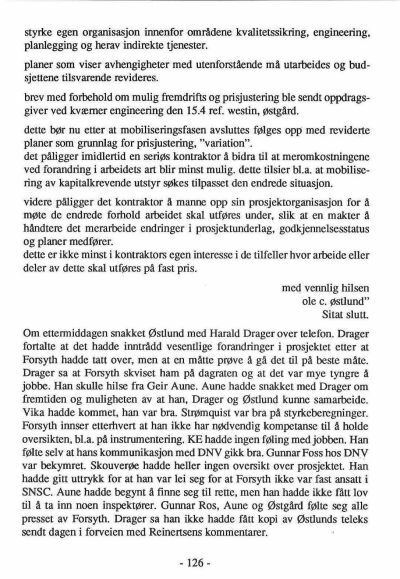 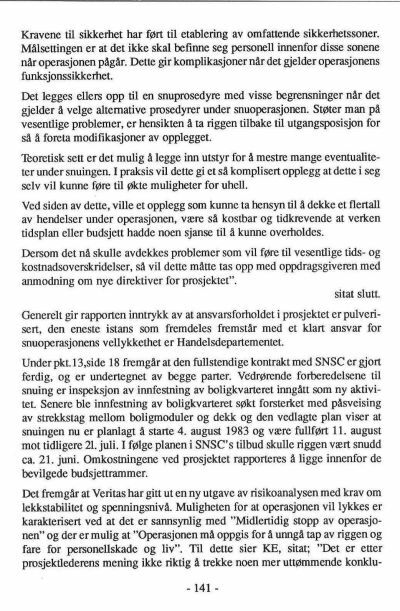 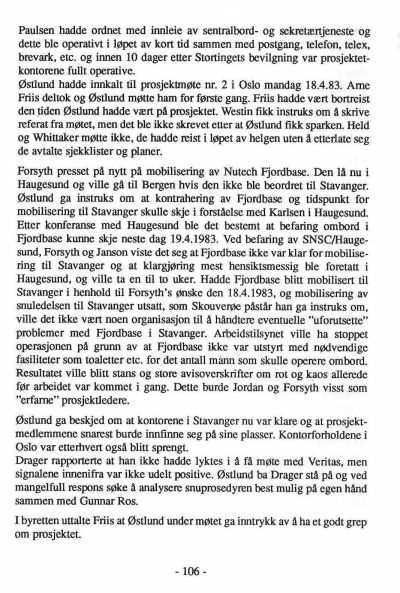 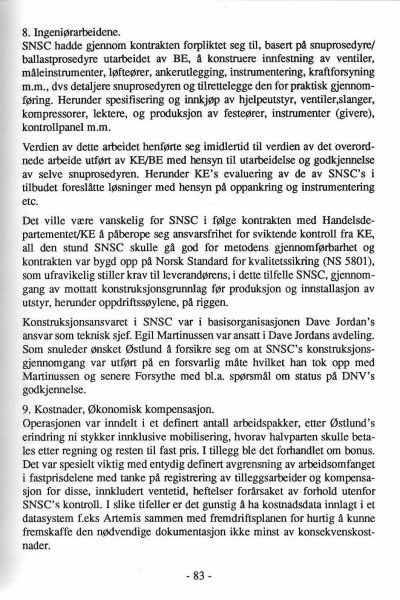 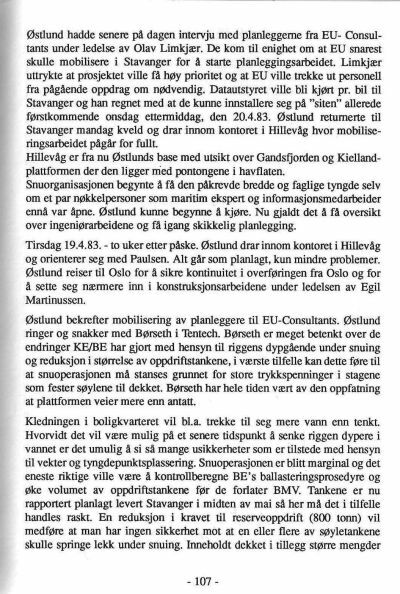 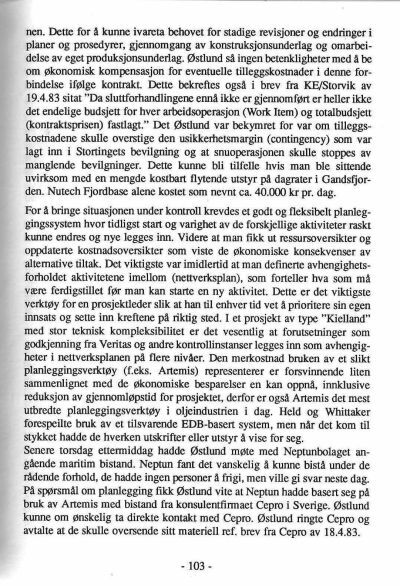 on Brown & Root involvment in the Norwegian sector of the North Sea.